Bayou Renaissance Man: Weekend Wings #27: Will the MiG name vanish into history? 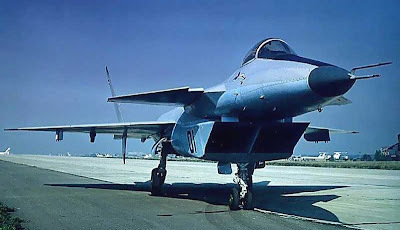 Weekend Wings #27: Will the MiG name vanish into history? Weekend Wings returns after an almost three-month hiatus, caused by a house fire, which was quickly followed by a visit from Hurricane Gustav. I've been hard at work supervising contractors doing repairs, which hasn't left much time for in-depth articles like this. Hopefully I'll be able to get back to them now. It was announced last week that the Mikoyan, or MiG, aircraft company in Russia will be folded into the giant United Aircraft Corporation, joining other Russian aviation companies like Sukhoi, Tupolev, Yakovlev and Beriev under a single corporate umbrella. However, unlike the others, which retain their corporate identity under UAC, the MiG company will apparently disappear. At least, its name doesn't appear under the list of member companies of UAC on the umbrella organization's Web site. If that's the case, this is sad news for aviation enthusiasts worldwide, and for Russians in particular. The partnership of Artem Ivanovich Mikoyan and Mikhail Iosifovich Gurevich in the MiG design bureau was long-lasting, and produced some of the best-known (and best-performing) combat aircraft of the past half-century. Their design bureau has a track record that ranks right up there with the best in the industry worldwide. The first MiG aircraft was the MiG-1, which first flew in 1940. Begun as the I-200, a prototype of the Polikarpov design bureau, it was completed as the first project of the new MiG design bureau after Nikolai Polikarpov fell into disfavor with Stalin. Its first production models exhibited significant handling flaws, and it was further developed into the MiG-3. The MiG-3 was produced in quantity (over a thousand were in service by the time Germany invaded Russia in 1941), but its performance and handling left much to be desired. It was forced to fight superior German aircraft at a disadvantage, and was not very successful. Attempts were made to further improve the aircraft, including fitting a radial engine to produce the MiG-7, but this was not put into production. The next significant aircraft from the design bureau was the MiG-9, the first jet-powered aircraft to fly in the Soviet Union. Powered by two RD-20 turbojets, based on the design of the captured German BMW 003 engine, it first flew on April 24, 1946. Over 600 were produced in various configurations. Being the first jet aircraft designed by the bureau, and using underpowered engines, it wasn't very successful: but better powerplants were on the way. 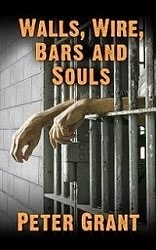 To Stalin's astonishment (as he famously commented, "What fool will sell us his secrets? "), the socialist Labor government in Britain agreed to sell the Soviet Union 40 Rolls-Royce Nene jet engines. MiG immediately took full advantage. At the end of World War II, MiG had produced an experimental prototype, the MiG-8 Utka, which used forward canard wings. The design bureau combined what this had taught them about aerodynamic design with lessons learned from the MiG-9, and added captured German swept-wing technology. Putting it all together with the Nene engine (reverse-engineered and manufactured in Russia as the Klimov RD-45, later the VK-1), they produced the world-famous MiG-15 (NATO reporting name 'Fagot' - all MiG aircraft were assigned NATO code-names beginning with the letter 'F'). It entered service in 1949, and was to rule the skies during the Korean War until the arrival of US F-86 Sabres regained air superiority for the United Nations. It had certain handling and control difficulties (as did many other first-generation jet aircraft in all countries that manufactured them), but it was a remarkably good aircraft overall. Over 12,000 were built. The video below shows a USAF evaluation of a captured MiG-15, and even though it confirms the superiority of the F-86, it makes several favorable comments about the MiG's performance. 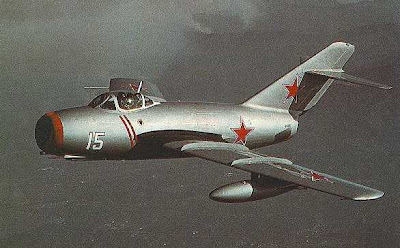 The MiG-15 was further developed into the MiG-17 (NATO reporting name 'Fresco'). It used the same engine as the earlier model, but incorporated a compound swept wing configuration, wing 'fences' and a ventral fin, all of which improved handling and stability. It became the standard Warsaw Pact fighter aircraft of the 1950's and early 1960's. Over 10,000 were built, including license-manufactured versions in China and Poland. MiG-17's saw combat in Vietnam, where (to the chagrin of the USAF) these relatively primitive subsonic fighters shot down several latest-generation supersonic F-105 Thunderchief strike aircraft. They proved highly maneuverable (more so than the supersonic MiG models that succeeded them) and very difficult for USAF aircraft to handle in a close-quarters dogfight. 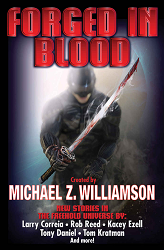 They also saw combat service in the 1956 and 1967 Arab-Israeli wars, in the Nigerian civil war, and elsewhere. The next fighter from this design stable was the MiG-19 (NATO name 'Farmer'). This was the first Soviet fighter to achieve supersonic speed in level flight, and was roughly comparable to the US F-100 Super Sabre in performance. It entered service in 1955. It was the first Soviet fighter designed from the outset to be armed with air-to-air missiles, although it retained its cannon armament as well. Some 8,500 were built, and served throughout the Communist bloc. Some saw combat in the Vietnam war, although they were reportedly less preferred by North Vietnamese pilots than either the MiG-17 (more maneuverable) or the MiG-21 (more powerful and faster). The world-famous MiG-21 (NATO name 'Fishbed') entered service in 1959. Well over 10,000 were built, making it the most-produced supersonic aircraft in aviation history; the most-produced combat aircraft since World War II; and the combat aircraft with the longest production run in aviation history. 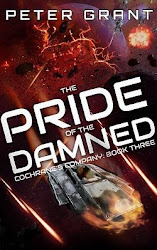 It was a contemporary of the French Mirage III, the US Phantom, and the British Lightning. It remains in front-line service today in a number of air forces, having been upgraded and modernized. 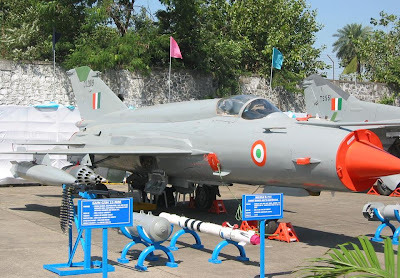 Perhaps the most far-reaching modernization has been carried out by the Indian Air Force, with its MiG-21 Bison model, shown below. This incorporates an uprated engine, new radar and electronic warfare equipment, and new weapons, and has been favorably rated by USAF pilots in comparison to the much more modern F-16. It's scheduled to remain in service until 2015 - 56 years after the type first entered service! The MiG-21 has seen combat service all over the world, in many wars. It was designed as a relatively short-range interceptor, but has been adapted and modified into a multi-role combat aircraft with great operational versatility. Already in development when the MiG-21 entered service was the aircraft that was to become known as the MiG-25 (NATO name 'Foxbat'). This was envisaged as an ultra-high-speed, ultra-high-altitude interceptor to combat US efforts to develop a Mach 3-capable bomber, such as the XB-70 Valkyrie. Although none of these bomber projects entered USAF service, the development of the MiG-25 continued, and it entered Soviet service in 1970. All sorts of 'scare stories' circulated in the West about the performance of this aircraft. They were only dispelled in 1976, when Viktor Belenko, a Soviet pilot, defected to Japan with his MiG-25. Careful examination showed it to be much less of a threat than previously supposed. It was basically two huge engines fitted beneath a wing, using old-fashioned vacuum-tube electronics. It was not very maneuverable, and difficult to control at low altitude. Pilots were warned to limit their speed under normal conditions to a maximum of Mach 2.5, as achieving its maximum design speed of Mach 3.2 would result in the engines having to be replaced. Nevertheless, it was an impressive piece of engineering for its time (considering that its design began in 1955). Over a thousand were built, and served as interceptors and high-speed, high-altitude reconnaissance aircraft with the Soviet Union and its client states. 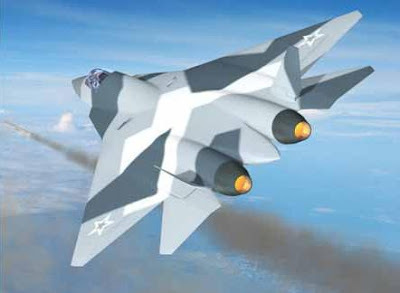 It would later be further developed into the MiG-31, discussed below. Also entering service in 1970 was the earlier-numbered MiG-23 (NATO name 'Flogger'), although its design actually began several years after the MiG-25, which first flew three years before it. This was a variable-geometry jet fighter with look-down/shoot-down radar and beyond-visual-range air-to-air missiles. Low-speed handling and control was greatly improved in comparison to earlier Soviet jet fighters, the variable-geometry wings being optimum for this purpose. The aircraft also required a much shorter take-off and landing run than earlier MiG fighters. It was thus more versatile under operational conditions, being able to use rough airstrips or roads as forward air bases. Over 5,000 MiG-23's were built, and served in the Soviet Union and most of its client states. 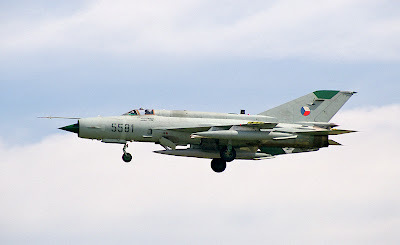 The MiG-23 was further developed into a ground-attack version, known as the MiG-27 (NATO name 'Flogger-D'). This retained the variable-geometry wing and engine of the MiG-23, but deleted the nose-mounted radar in favor of a flatter nose, improving pilot visibility for ground attack, and mounting a laser rangefinder and target seeker. The variable intakes were discarded in favor of simpler, fixed inlets, and the undercarriage was strengthened for operation from rough fields. 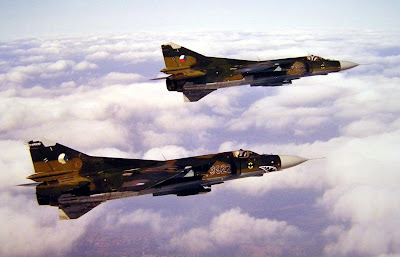 Over a thousand MiG-27's were produced, most for the Soviet Air Force, but several hundred for export to client states. The next two products of the MiG design bureau were very different from one another. The MiG-31 (NATO name 'Foxhound') first flew in 1975. It was developed from the MiG-25, and rectified most of that aircraft's shortcomings. Indeed, it was the most advanced interceptor in service with the Soviet Union until its dissolution. It was a two-seater aircraft, with improved supersonic performance, longer range, more powerful radar, and longer-ranged missiles. Some 500 were produced for the Soviet Union, and served as the primary air defense interceptor for that nation. 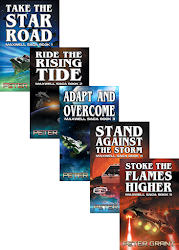 They remain in service in the Russian Federation, with many having been upgraded in various ways. Contemporaneously with the development of the MiG-31, the Soviet Union was seeking to answer the challenge of the United States' so-called 'teen series' aircraft: the F-14, F-15, F-16 and F/A-18. All of these entered service during the 1970's and early 1980's, and comprehensively outclassed earlier Soviet aircraft. 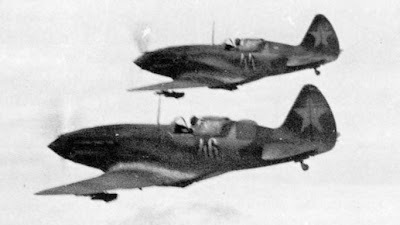 A competition known as Perspektivnyi Frontovoy Istrebitel, or Perspective Frontline Fighter, was launched to develop aircraft capable of matching the new American fighters. 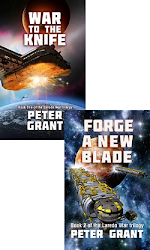 Two successful designs emerged. One was a heavy combat aircraft, the Sukhoi Su-27, to counter the F-14 and F-15. The other was a lighter aircraft to counter the F-16 and F/A-18. This was the Mig-29 (NATO name 'Fulcrum'). This superb aircraft entered service in 1983, and serves today with many Air Forces. It is considered comparable to the original versions of the US F-16 and F/A-18. The German Luftwaffe obtained several squadrons of MiG-29's through the reunification of East and West Germany in 1990. 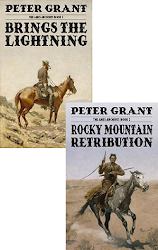 These have since been sold. The USAF operates several MiG-29's sourced from former Warsaw Pact countries for purposes of evaluation and training. A carrier-based version, the MiG-29K, was developed for the Soviet Navy, but was beaten for that service's contract by the larger Sukhoi Su-33. The video clip below shows the MiG-29K being tested aboard the Russian aircraft-carrier Admiral Kuznetsov. The Indian Navy has ordered 16 of them (12 single-seaters and 4 two-seat trainers) for operation from its new aircraft carrier, INS Vikramaditya. 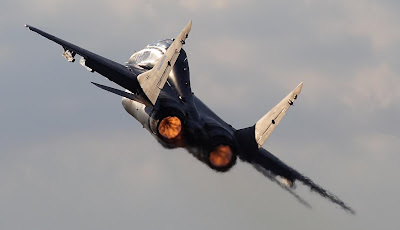 An advanced version of the aircraft, the MiG-29M, originally known under the new model designation of Mig-33 and sometimes called the 'Super Fulcrum' (shown below), was developed in the 1990's. 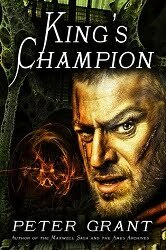 However, it did not enter series production, as the collapse of the Soviet Union meant that funding was not available. Many of the upgrades developed for it have reportedly been applied to earlier MiG-29 airframes in Russian service. 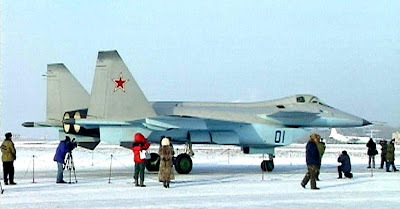 A completely modernized and fully upgraded version of the MiG-29, known as the MiG-35 (shown below), has been developed, and was until recently being offered for sale, both to the Russian Air Force and to the Indian Air Force (for license-production in India). It appears to be comparable to the latest-generation F-16E/F Block 60 aircraft. It's not known whether the demise of the MiG bureau as an independent company will affect the future of the MiG-35, which to date has not attracted any orders. Following the MiG-29 and MiG-31, the MiG design bureau struggled to find new contracts. In the 1980's it began work on a technology-demonstrator prototype in the class of the US F-22 Raptor, known as Project 1.44 (NATO name 'Flatpack'). 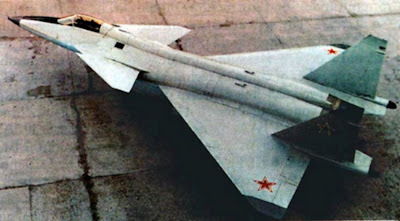 The project was canceled by the Russian government in 1997, but MiG had progressed so far with the prototype that they decided to continue work. Test flights were carried out in 2000/2001. 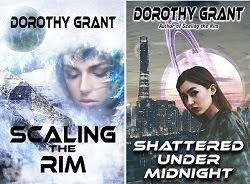 Three photographs of the prototype are shown below. 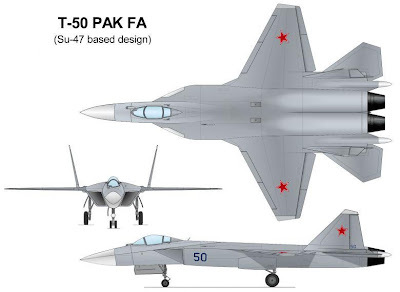 MiG's hopes for further work in this field were probably dashed by the selection of the Sukhoi T-50 PAK FA for development as Russia's first fifth-generation fighter aircraft. 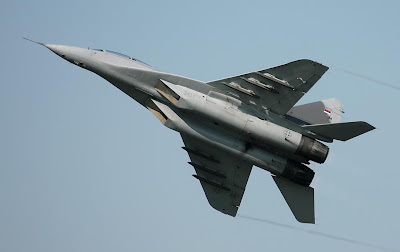 Brazilian and Indian companies are forming a consortium with Sukhoi to develop this aircraft, which is scheduled to fly next year and enter service in 2012. A diagram of the possible layout, and an artist's impression of what it will look like, are shown below. Last week's announcement that the MiG company will be folded into Russia's United Aircraft Corporation is cause for nostalgia among all aviation enthusiasts. Just as McDonnell-Douglas was bought by Boeing, and its name lost to the aviation community, so it will be if the MiG name is to be no more. The F-15 Eagle will forever be a McDonnell-Douglas plane to enthusiasts - it just doesn't sound right to call it a Boeing aircraft. In the same way, if the MiG-29/33/35 continues in production under some other name, it just won't seem the same, somehow. Peter, one comment about the "old fashioned vacuum tube electronics", many sneered...but think of this...in microeletronics, a 100V spike in the power supply is USUALLY catastrophic, in tube electronics as in the MIG-25 a 100V spike is less than the ripple in the power supply. 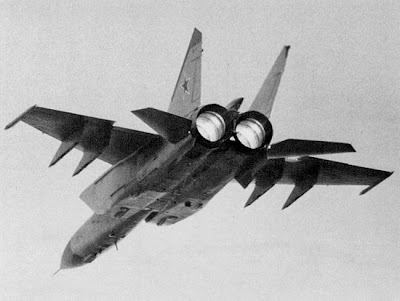 The MIG-25's vac tube gear was capable of being "turned up to 11" and burning through most of the US radar jamming. It was operated at less than 1/2 power most of the time and ESPECIALLY around US or NATO equipment. the Mig's vac tube eletronics were effectively EMP proof.